InFurrow Fertilizers | Willard Agri-Service of Frederick, Inc. The first 30 days of a plant’s life sets the Attainable yield potential, therefore, nourishing root and shoot development properly is crucial! 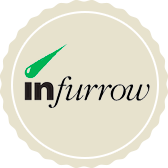 With very safe and high quality liquid fertilizers that are designed to jump start your crop, you can count on the InFurrow line of products to take your production to the next level. Infurrow, pop-ups: are meant to promote quick seedling emergence. The goal is to have a readily available non-burning source of Nitrogen and Phosphorous right with the seed to stimulate initial root development. In-furrow Pop-ups are meant to promote a quick seedling emergence or pop-up just as the name suggests. Phosphorous right at the point when seeds germinate. This small supply of nutrients stimulates the development of the initial roots, enabling them to grow quicker. The end result is greater root mass more quickly from germination to emergence. While not crucial, pop-ups are a useful initiator for High Yield environments. They will not and are not intended to replace a banded Starter application. Ortho-phosphates are utilized and are easily absorbed by fragile seedlings. Complete analysis of N-P-K-S for total balance of nutrition. Highly soluble and low in total salts preventing any seedling injury. Zinc is added to enhance P uptake and increase root and cell elongation. Completely compatible with growth stimulants. Tested with our Biogrowth line.